Heirloom Sewing Techniques for Today's Quilter ~ Blog Hop!
. When she asked me to be part of her blog hop, I jumped at the chance. Cheryl is not only fun and kind, she is incredibly talented and motivating. Cheryl has just released a new video, Heirloom Sewing Techniques for Today's Quilter. (Available as a DVD or digital download.) When I think of smocking, I tend to think of the dresses I wore when I was young. Cheryl really has taken this classic technique and many others, and put her modern spin on them. I've seen her work in person, it's really amazing! "Take your next sewing project to new heights by adding an unexpected twist–fabric manipulation! Learn the basics and beyond of vintage sewing techniques that can transform your quilts from flat to fabulous. Award-winning quilter and heirloom sewing expert Cheryl Sleboda takes the mystery out of smocking, pintucks, pleats, and gathers, and will soon have you applying these simple and effective techniques to your own quilts and home décor projects. After an overview of the history, tools, and materials used in dimensional sewing, Cheryl deftly describes and demonstrates each technique. 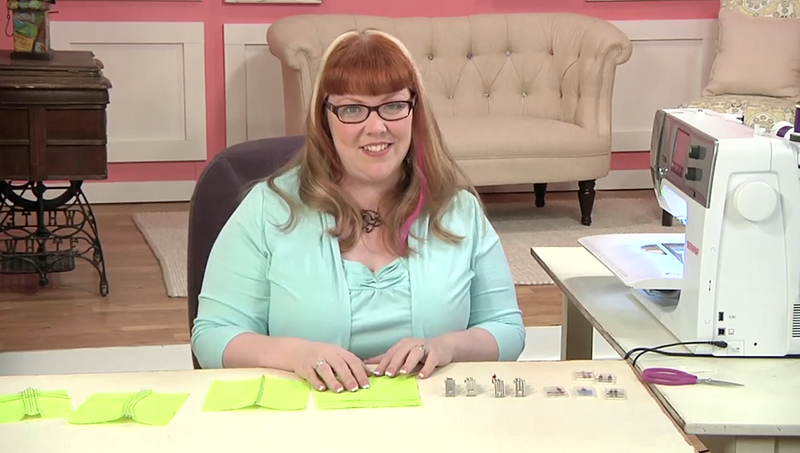 Her shortcuts and tips simplify the most mystifying designs into easy-to-follow steps. Imagine creating smocked inserts for a sampler quilt, or a charming vintage-inspired pillow with a contemporary flair. Soon you’ll be creating your own dimensional designs using the time-tested methods demonstrated on this video." If you've ever thought about adding texture to your quilts and projects, or just want to add another skill to your bag of tools, I highly recommend checking out Heirloom Sewing Techniques for Today's Quilter.